Comments: Has been grown in zone 7, but not reliably hardy there. Sexes on separate plants and the male catkins white in spring while fruit is red on the female in late summer. 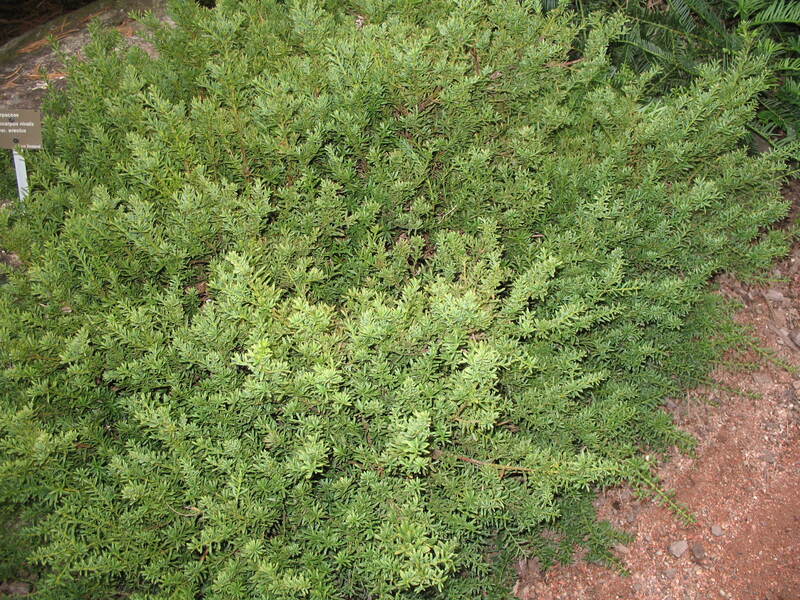 This plant could be used in foundation plantings, as a ground cover or in a container.